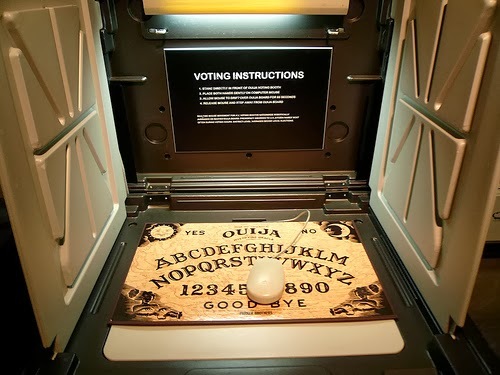 Step right up and cast your vote. No reason to hem or haw. Amgen’s $10.4 billion acquisition of Onyx Pharmaceuticals deserves your vote for M&A of the year. What’s that you say? The deal held no intrigue? No eleventh-hour white knight who stepped in and drove a nail-biting bidding war? No surprises that made you dribble coffee down your chin while reading the morning news? Well, it’s not as though every deal can be shrouded in as much conspiracy as Roche’s takeover of Genentech, or done at a price that leaves you staggering to the water cooler ala Gilead’s acquisition of Pharmasset. But what’s so bad about a straightforward acquisition that hedges for the buyer and still rewards the seller, one where the purchase price, at $125 per share, meets a middle ground? Remember how Amgen originally offered $120 per share, which was rejected by Onyx, which thought it could get more like $130 to $140 per share? How civilized then that they settled squarely on $125 without dragging us through a drawn out campaign. Onyx’s investors still ended up receiving a hefty payout, with the final price representing a 43.9% premium over the stock’s closing price in June before Amgen’s original offer was disclosed. And, $10.4 is nothing to shrug at either. Amgen’s acquisition of Onyx was the most expensive M&A of the year, reason enough to cast your vote in its favor. Don’t forget the perfectly sensible strategic rationale behind Amgen’s decision to buy Onyx. The big biotech gains the proteasome inhibitor Kyprolis (carfilzomib) for multiple myeloma, and Nexavar (sorafenib) partnered with Bayer, for liver and kidney cancer, drugs that are already on the market in the U.S. and will immediately contribute to Amgen’s top-line. The company needs new drugs to fill a revenue gap. Before the acquisition it was expecting that sales would be lower in 2015 than in 2013. The addition of Kyprolis fills that void – and it gives Amgen some street cred in oncology, a therapeutic area it has targeted for future growth, though its marketed cancer portfolio mainly includes supportive care products, not cancer interventions. Onyx serves as a leg up for Amgen as it looks to establish itself as a major oncology innovator and bring forward a pipeline of oncology drugs it has cobbled together partly through acquisitions. Wait, you’re still not sold? You’d prefer a deal that’s more high-risk, high-reward? Well, you can rest assured Amgen’s still has plenty of risk to absorb. Kyprolis made it to the market through an accelerated review, but Amgen needs the results of two ongoing Phase III trials, ASPIRE and FOCUS, to play out in the drug’s favor before it can secure full approval and expand into Europe. In November, a Bank of America analyst issued a note citing reports of cardiovascular events with Kyprolis. That, understandably, has spooked some investors while they wait for the Phase III data to report out in 2014. Amgen called the whole flap a misunderstanding that stemmed from the analyst’s dinner meeting with Celgene management and clarified that event rates are no different from what is already included in the Kyprolis label. The data monitoring committee overseeing the study has not reported any specific safety concerns, Amgen added. There's your intrigue! Still, these things do get you thinking about the $10.4 billion Amgen paid for Onyx and what could happen between now and when the company reaps a return. In the drug industry, things are never straightforward despite how they might appear. Are you happy now? 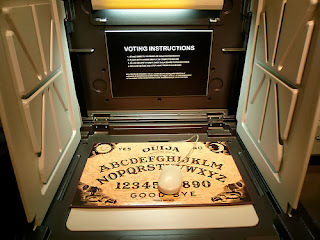 Then step right up and cast your vote.